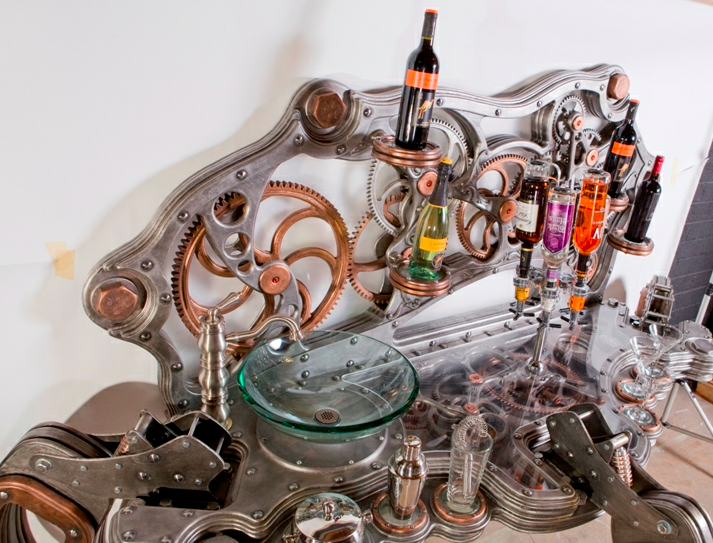 This mechanical wet bar — called the "Green Bar" for its structural reliance on mostly recycled wood — is the work of self-taught mixed-media artist Dale Mathis. Mathis's works derive inspiration from the fantasy designs of H.G. Wells and Jules Verne, Salvado Dali and Edmonia Lewis. Having been raised surrounded by gangs and crime, his creations "speak from the heart of the discordant struggle of urban American life."